TASKING tools and compilers, e.g. for TriCore / TC1798 are used in order to adapt, compile and implement the CODESYS Control runtime kernel on automation controllers. CODESYS Control is the IEC 61131-3 kernel implemented in millions of industrial automation devices from different manufacturers. 3S-Smart Software Solutions GmbH is a leading supplier for software products in the automation industry. All products and services are based on CODESYS, the IEC 61131-3 development system for controller applications. 3S-Smart Software Solutions offers a range of add-on products integrated in CODESYS e.g. for visualization, motion control / CNC / robotics and safety as well as Soft-PLCs for various platforms. aiT. Statically computes tight upper bounds for the worst-case execution time of tasks in real-time systems. The bounds are guaranteed to hold for every possible execution scenario. aiT directly analyzes binary executables and takes the cache and pipeline behaviour of the CPU into account. aiT supports the TASKING VX-toolset for C16x/ST10, TriCore and ARM. TimingProfiler. Computes execution time estimates of programs without the need to repeatedly provide test inputs, execute, and measure. It is ideally suited for constantly monitoring timing behaviour during software development. TimingProfiler supports the TASKING VX-toolset for TriCore. StackAnalyzer. Determines the worst-case stack usage of the tasks in your application and can formally prove the absence of stack overflows and works on binary file level. StackAnalyzer is available for the TASKING VX-toolset for C16x/ST10, TriCore and ARM. AbsInt Angewandte Informatik GmbH provides advanced development tools for embedded systems and services, such as program optimization and analysis Worst-case execution time (WCET) prediction. TASKING provides software development tools for Aeroflex Microelectronic Solutions 8096 microcontroller derivatives. 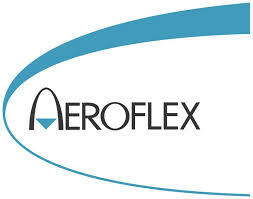 Cobham Semiconductor Solutions (formerly Aeroflex Colorado Springs and Aeroflex Plainview locations) provides databus and transceiver solutions, memories, microprocessors, microcontrollers and circuit card assembly services for the avionic industry. TASKING provides software development tools for ALi's 8051 derivatives. Founded in 1987, ALi (Acer Laboratories Inc.) is one of the world’s leading suppliers of integrated circuits for a number of market segments including personal computers, PC peripherals, DVD players and embedded PC systems and appliances. Its product offerings include core logic chipsets, super I/O controllers, DVD products, and imaging peripherals. TASKING provides software development tools for Analog Devices’ 8051 microcontroller derivatives. Analog Devices is a semiconductor company that develops, manufactures and markets high-performance integrated circuits (ICs) used in signal-processing applications. The company's largest single product group is general-purpose Standard Linear ICs (SLICs), which include data converters and amplifiers. ADI has also become a major Digital Signal Processing (DSP) IC supplier. TASKING provides software development tools for Applied Micro's PowerPC Embedded Processors. Applied Micro provides the essential building blocks for the processing, moving and storing of information worldwide. The company blends systems and software expertise with high-performance, high-bandwidth silicon integration to deliver silicon, hardware and software solutions for global wide area networks (WAN), embedded applications, storage area networks (SAN), and high-growth storage markets such as Serial ATA (SATA) RAID. Rubus OS has been made available for the TASKING VX-toolsets forC166/ST10 and TriCore as well as the TASKING 68K/ColdFire and classic C166/ST10 toolsets. Arcticus Systems offers methods and tools to its customers provided for the cost-effective development and support of dependable embedded systems. The methods and tools provided permit engineers that possess domain knowledge to focus on the application rather than upon programming and related program and system development tools. The TASKING C compilers for the 8051, XA and TriCore can be used with Ashling's PathFinder Source Debugger and the appropriate Ashling emulator (Ultra, Opella, Genia and Vitra). Ashling Microsystems (founded in 1985) designs and manufactures In-Circuit Emulators, JTAG/BDM Emulators, Smart Card development tools, source debuggers and Software Quality Assurance tools. Ashling provides a full range of emulation, debug and trace tools. By applying Ashling’s powerful real-time debug technology, developers can benefit from a powerful and flexible development and debug toolset from the outset of their development projects. Atmel designs, manufactures, and markets on a worldwide basis advanced logic, mixed-signal, nonvolatile memory, ASIC, programmable logic, and RF semiconductors. Atmel is also a leading provider of system level integration semiconductor solutions using advanced CMOS, BiCMOS, BiPolar, and SiGe process technologies. TASKING provides a unique C compiler for the Bosch GTM-IP MCS. This C compiler is part of the TASKING toolsets for Infineon AURIX, Freescale Qorivva, STMicroelectronics SPC56x and Renesas RH850 microcontrollers. Bosch Automotive Electronics (AE) - headquartered in Reutlingen, Germany - is the largest manufacturer of micromechanical products and one of the largest automotive semiconductor manufacturers in Europe. Bosch designs, manufactures and sells sensors, ASICs, ASSPs and power semiconductors, based on experience in automotive electronics components of more than 40 years. CAST works with Altium to provide support for the TASKING 68K/ColdFire Software Development Toolset for their C68000 and C68000-AHB processor cores. CAST develops and supports a broad range of popular and standards-based IP cores and platforms. Their IP cores include various 8-, 16-, and 32-bit controllers and processors; PCI Express, USB, and other interface standards; multimedia functions like H.264 and JPEG; AES, DES and other encryption functions; and numerous communications functions, device controllers, and replacement parts. CMX RTOSes are available for the TASKING VX-toolsets for ARM, C166/ST10 and M16C as well as the TASKING 8051, 196/296, XA, classic C166/ST10, DSP56xxx and 68K/ColdFire. CMX-MicroNet has been made available for the TASKING VX-toolsets for ARM, C166/ST10 and M16C as well as for the TASKING 8051, XA and classic C166/ST10 toolsets. CMX-TCP/IP Stack is available for the TASKING VX-toolsets for ARM, C166/ST10, M16C as well as the TASKING XA,classic C166/ST10, DSP56xxx and 68K/ColdFire. CMX-CANopen is available for the TASKING toolset supporting the Infineon C166/XC166. 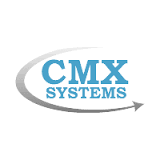 Since its inception in 1990, CMX Systems has focused on providing its customers with all of the tools needed to program their embedded applications. The company's core business is to develop and support real-time, multi-tasking operating systems (RTOS), TCP/IP stacks, Flash File Systems, USB stacks and the CANopen stack for a wide variety of 8-bit, 16-bit, and 32-bit microcomputers, microprocessors, and digital signal processors.